Based in London, we are Alexander Surveying Services. We offer our professional and reliable chartered surveyor services across London, Greater London and the surrounding areas. Alexander Surveying Services are RICS regulated chartered surveyors who strive off customer satisfaction. Our 10 years’ experience of surveying a wide range of building types means that as a team we have an in-depth knowledge and varied experience of the chartered property surveying industry. 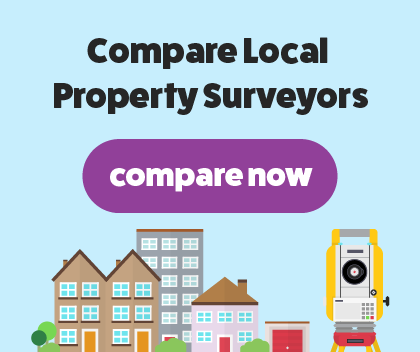 We have a modern and high range of surveying equipment that helps us to give your property the most accurate survey. We are proud to offer a RICS HomeBuyer Report and a RICS Building Survey carried out by one of our highly experienced chartered surveyors. Alexander Surveying Services’ Homebuyers survey is for modern properties that are still in good condition and haven’t had any reconstruction work done. This survey is essential for spotting hidden damage and defects that you may not have noticed yourself. Common issues that we usually come across are rot, damp and infestations. The homebuyer report will examine the condition of your property as well as identifying any problems with the structure. We’ll thoroughly examine your house looking for damage and will present our findings in a clear and concise report which will be easy to read. We will offer our expert advice on the best way to tackle the repairs and what to do about major areas of concern. The report will be in-depth; however, the survey will be non-intrusive. Our RICS verified structural survey is designed for older properties that were constructed using unusual materials. If your house has or plans to have major reconstruction work done, then you’ll need a building survey carried out by one of our RICS verified chartered surveyors. Alexander Surveying Services’ building survey is more in-depth than the homebuyer report and examines every aspect of your property’s construction, condition and structure. We’ll identify areas of concern and give you an estimate of how much each repair will be. Our findings will be set out in an easy to read report with a rating of the condition of your property. If you receive the highest rating of 3, then there’s major areas of concern that need repair work.